If you have been reading my blog for a while, then you may have noticed that whenever I link some beauty products in my posts, I will often give you a link to the website Beauty Bay (only if you can buy it from them)! 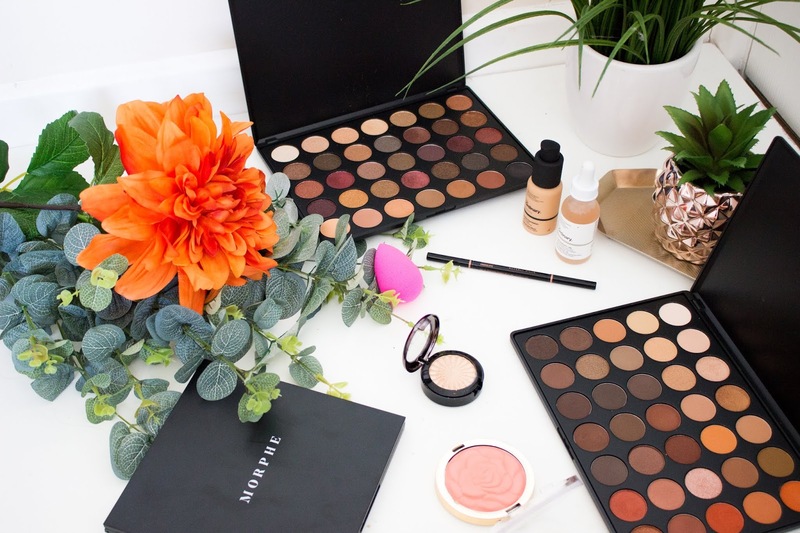 Beauty Bay has been a website that I have been purchasing from for the last couple of years and over the years I have made countless orders ranging from buying expensive palettes to cheaper foundations. But, I have never done a haul on this blog where I show you what I have purchased lately, in terms of makeup. 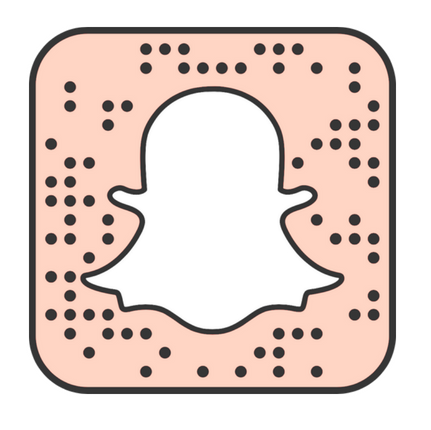 This is the best way to keep you up to date with what I have been buying lately, as well as being able to give mini reviews about each product; so you don't have to wait ages for me to do a full post on them. Beauty Bay is an official stockist of a whole range of makeup brands; from Anastasia Beverly Hills to The Ordinary. They also stock a lot of brands that we cannot easily get in the UK like Jeffree Star Cosmetics and L.A. Girl. They also receive limited edition pieces (so a product has sold out on the official brand's website then definitely check out Beauty Bay a couple of weeks later). I absolutely love the range of products that they sell and I mainly go on to buy Anastasia Beverly Hills because it is so much easier for me to buy from there as I know the delivery schedule. Plus talking about delivery, Beauty Bay is amazing! I purchased all of my products at 10am and it was dispatched at 3pm (that same day) and was delivered to my house the very next day ... you cannot complain about that service. So, this was a restock item for me as my current BeautyBlender is not looking it's best and really needed changing because I have been using it for the last couple of months and was really not looking its best. 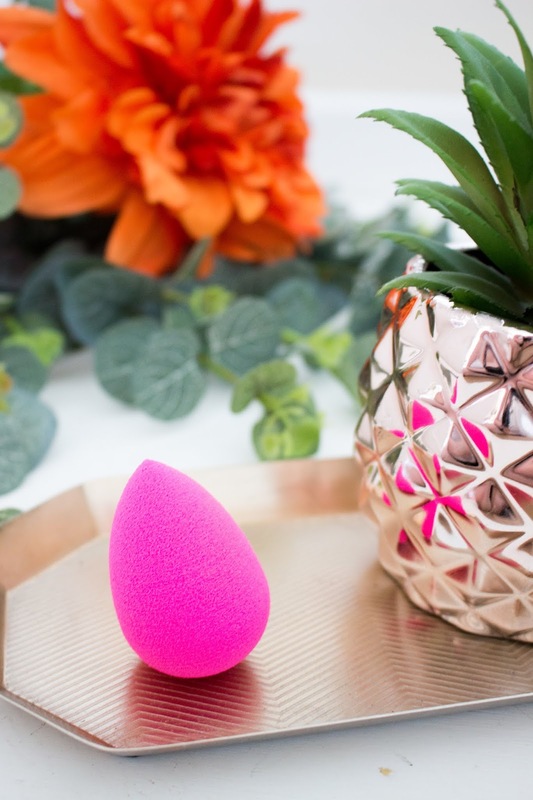 BeautyBlender is my favourite makeup sponge to apply my foundation and concealer with and the original hot pink one is my go-to. I don't know why but I have used other BeautyBlender sponges in the different shades and they just have not worked as well for me. Whereas, the original sponge always applies my foundation evenly and helps to melt it into my skin rather than making it look like it is sitting on top of my skin. I do like other beauty sponges (the Real Techniques sponge is great) but this is my all-time favourite. I also love to bake with this sponge because it helps the powder to sink into my skin and doesn't ever make me look cakey. I will always be repurchasing this product, even if it is slightly expensive for a sponge! 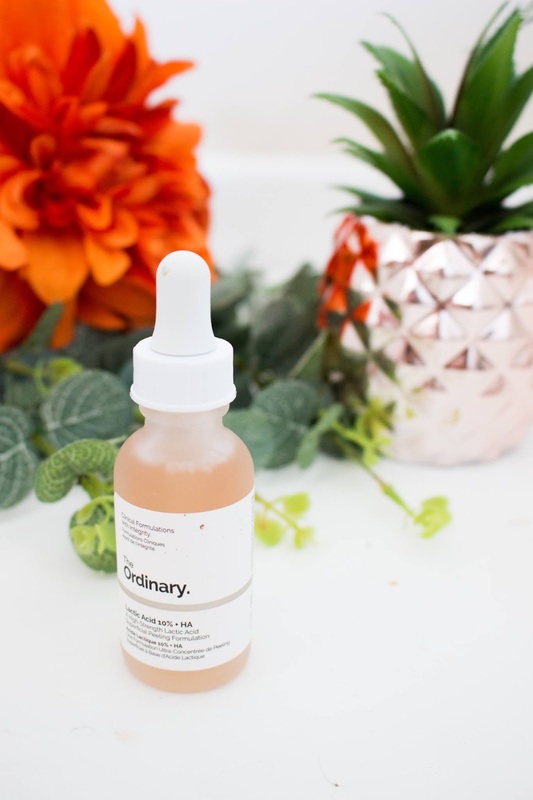 One brand that I have always been meaning to try is The Ordinary, as I have heard so many great things about this brand ... plus it is so affordable. Personally, I suffer with a lot of redness on my skin and now it is the summer, I don't necessarily want to wear a full coverage foundation. So, I have been looking for a product that is meant to target uneven skin tones and that is when I found this Lactic Acid 10% from The Ordinary. This is meant to target uneven skin tones, textural irregularities and fine lines. I did read the reviews first because I was worried about how strong this is and whether it will damage my skin but most people said how great this was for reducing redness and the best way to use it is mixed with a serum or other skincare product (which is what I will do). I will keep you updated on how this product works for me and whether I notice a difference, plus I want to do a whole blog post devoted to this brand trying different products out. 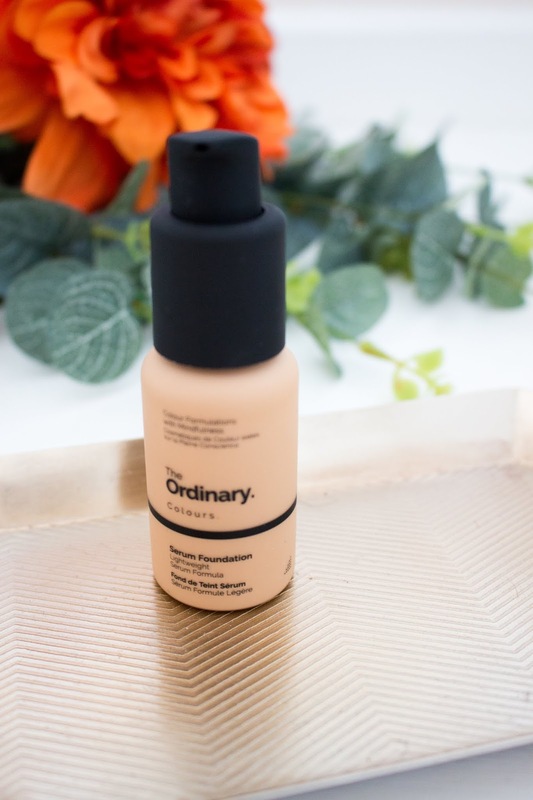 While I was looking through all the products that are sold by The Ordinary, I came across this serum foundation from them. This is something that I have heard such great things about and I have been trying to buy this foundation for the last year; but, every time I go to purchase it, it is out of stock. So, when I saw it was in stock I knew I had to buy it and now I am wishing I had bought it in multiple shades. I decided to pick up the shade Medium 2.1P as it is perfect for anyone with pink undertones. Now, of course I am not this tanned at the moment but the reason that I wanted to buy this foundation is that I am getting into fake tan plus I have a lot of really fair foundations that are just too light for me at the moment ... so this is to mix with them. I obviously don't want to go and buy another £40 foundation in my current shade so I thought buying a cheaper foundation and mixing them together will work just as well. Plus this foundation is only £5.75! I am thinking of buying this in a couple of shades because it is a light coverage foundation which is something that I am looking for during the hot summer we are currently having! 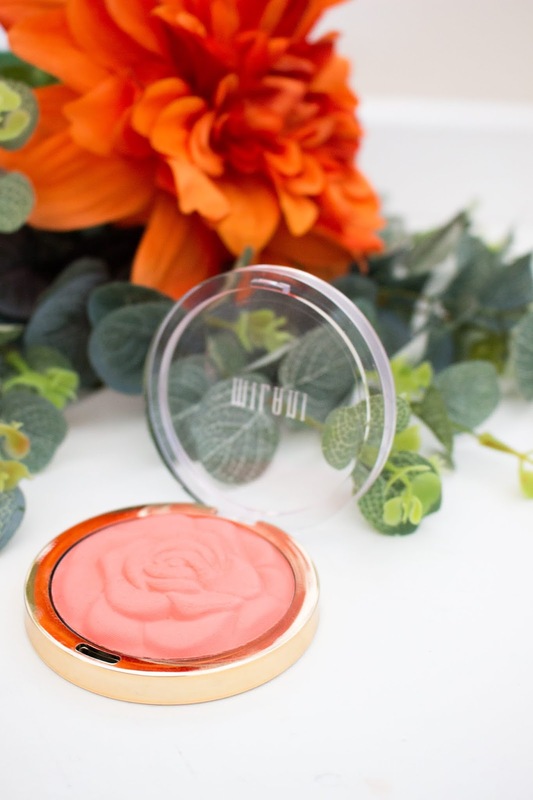 I have been a huge fan of the powder blushes from Milani and I already have this blush in the shade Romantic Rose (which is a beautiful natural pink shade). However, because it is summer I always tend to gravitate towards more coral blushes because I feel like they work even better with a tan. I really love this blush and I decided to get the shade Coral Cove. All I will say is that this is so pigmented so definitely tap off an excess on the brush before applying to the cheeks, otherwise it can be a bit too much! 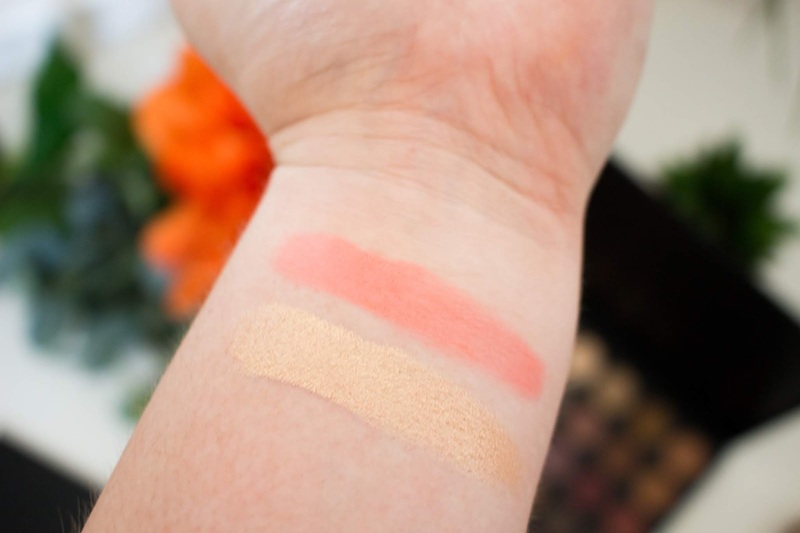 These blushes blend out beautifully and it is the perfect summer blush. Ofra is a brand that I have never tried but I have heard such great reviews, especially towards their highlighters. 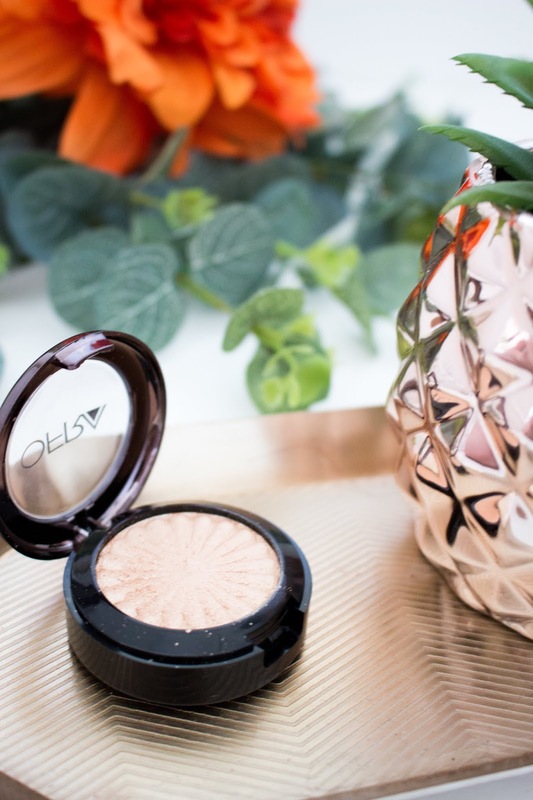 One of their more well-known highlighters has to be Rodeo Drive, but I did not want to buy the bigger highlighter because I have never tried Ofra before. But, when I saw that they sold this highlighter in a mini size for only £10, I knew I had to add it to my basket. Plus I never go through a whole highlighter so this will probably last me for years. This is the perfect champagne gold for anyone who has a tan or medium skin tone and this is just so blinding. I am definitely thinking of buying one of their full size highlighters in a fairer shade to wear when I am paler in the winter, because these are stunning! 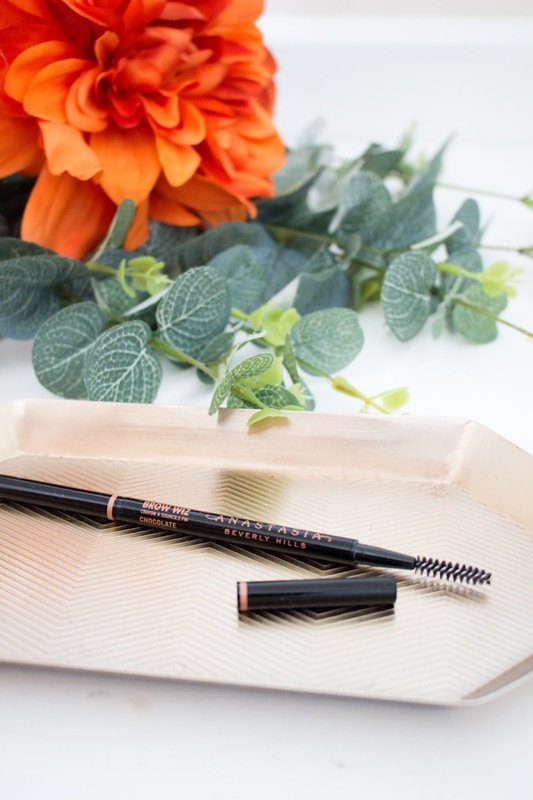 When it comes to my favourite brow product, then there is no competition and trust me I have tried a lot of brow products from different brands. The only product I love using on my brows is the Brow Wiz from Anastasia Beverly Hills in the shade Chocolate. This is my third Brow Wiz in the last year and I always have to repurchase it. It has, unfortunately, gone up in price but it is definitely worth it for me as it is perfect for getting those hair-like strokes that look natural. This helps to fill in my brows and makes them look full and natural. I have tried other products from other brands but I find that this is the easiest to use and is perfect for beginners who struggle when it comes to filling in their brows. Unfortunately, Beauty Bay is now no longer stocking Morphe products, so the products that I purchased in this haul are no longer available on Beauty Bay. However, it does seem like Cult Beauty are stocking some Morphe products at the moment. All of the links to the eyeshadow palettes below will either be linked to the official Morphe website unless they are available to purchase from Cult Beauty. Also, remember I got the palettes reduced or for free, but I will link the official price that they are being sold for now! 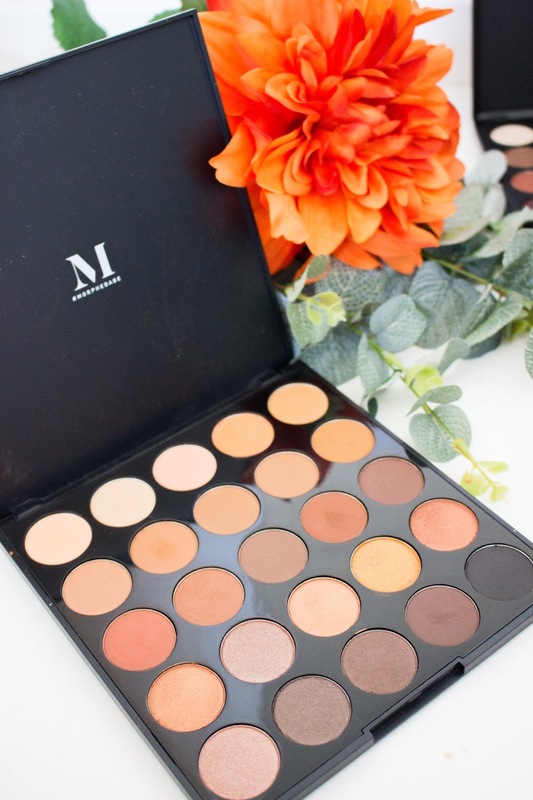 Morphe is a brand that I have not really delved to much into on my blog. In fact, I don't own much from them at all because there is always so many mixed reviews about their products. I own a brush set from them and the Jaclyn Hill palette and that is it. So when Beauty Bay were having their break up sale I decided to treat myself to a couple of their palettes. The first palette that really caught my eye was the 25A Copper Spice palette. 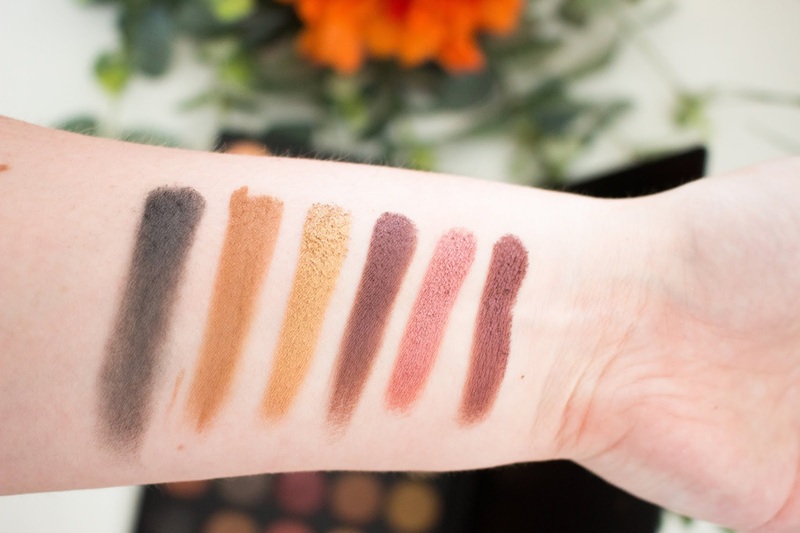 This palette has 25 shadows that are just perfect for a bronze eye look. There are bronzes, golds, chocolate browns and come in matte and shimmer finishes. This is my type of palette because it it just perfect for that natural bronzed Goddess look that I crave for in the summer months! 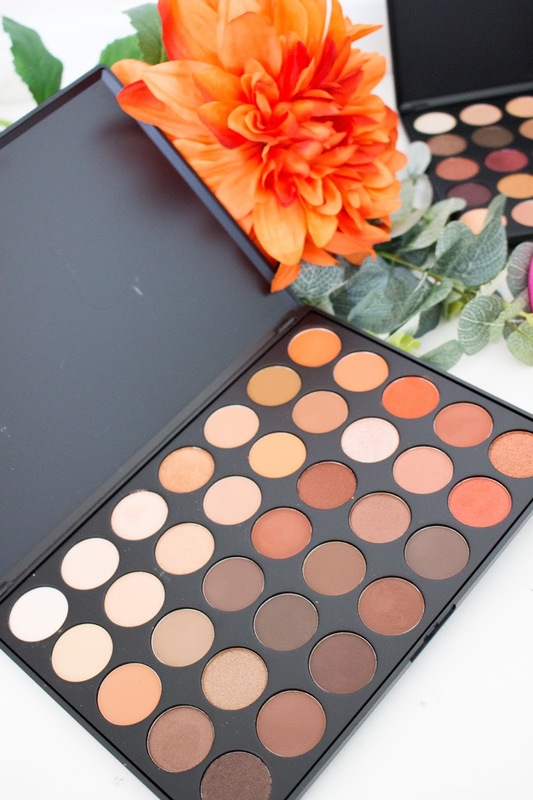 I will probably do a more in depth review of all of the Morphe palettes once I have played with it a bit more but this just looks stunning and the shadows are so buttery. I am definitely a huge of this palette! A palette I have been wanting for ages is the 35F palette, ever since I watched it in one of Zoella's favourites videos (which I think was last year). But, it has always been sold out, probably because of her video, and I could never get my hands on it. So, when I saw it was in stock and reduced I knew it was going straight into my basket. This is a beautiful palette full of 28 shimmer shadows and 7 mattes; so if you love sparkle, then you will love this palette. The shades are just stunning and are full of plums, burgundies and some beautiful bronze shadows. 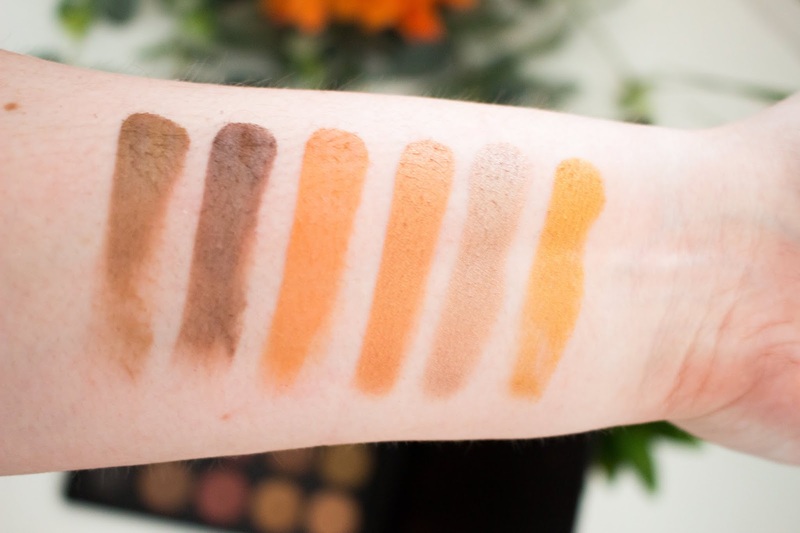 I have never seen a palette that is more appropriate for the autumn/fall months as these are shades that I wear so much in those months. Finally, the last product that I got from my Beauty Bay haul was the 35O palette from Morphe. Actually, I didn't even add this palette to my cart because it was automatically added as I had just gone over the £95 spend limit, which you had to reach in order to get this palette for free. 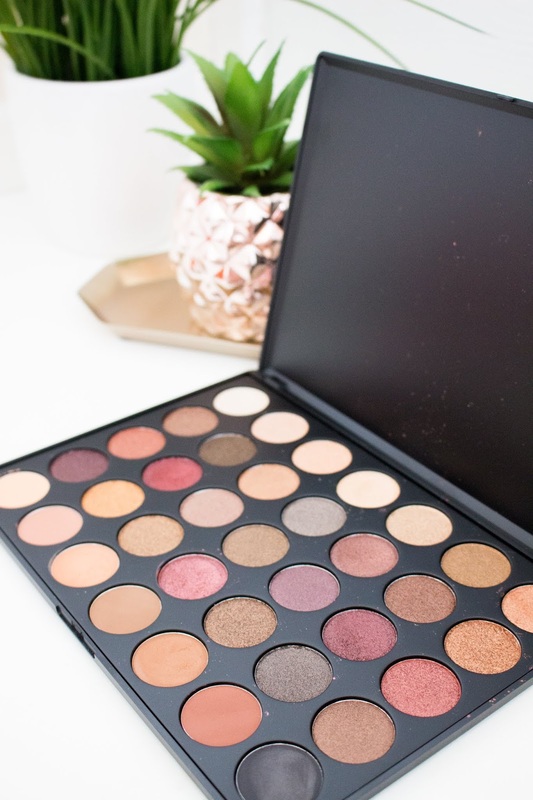 Now, unfortunately Beauty Bay is no longer selling Morphe and it is fully out of stock, but I can still quickly review this palette and tell you whether it is worth buying. 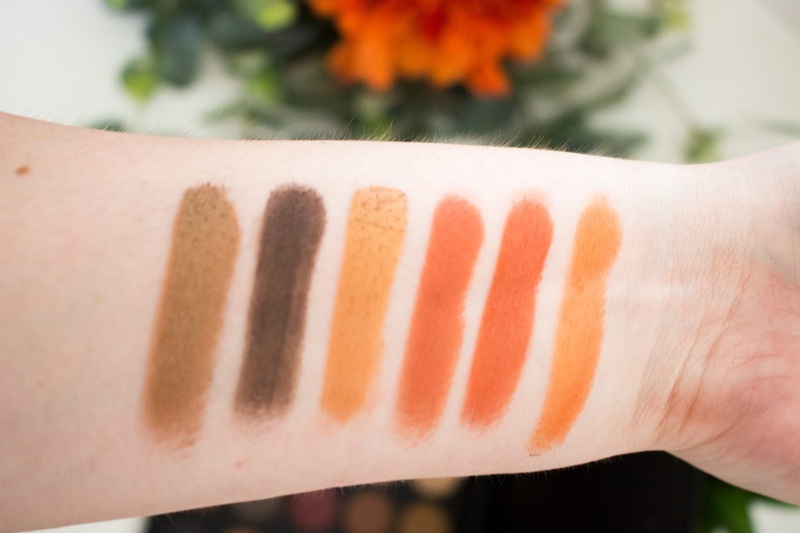 This is once again a very wearable eyeshadow palette that is full of warm-toned neutral shades with the pop of orange and deep chocolate browns. All I will say with this palette is that a lot of the shadows look very similar in the pan. For me, there is just too many of those chocolate browns as they are not shades I tend to use as much in the summer months - however this will be perfect for autumn/fall. I just wish there were some shades that were more cranberry and maroon shades. I will probably do a whole blog posts where I swatch these Morphe palettes to show you what each shade looks like in the next couple of weeks. So that is everything that I picked up from Beauty Bay - I actually spent £97 so just managed to get my hands on the free Morphe palette. I will do a catch up review of these products probably at the end of the month and I really want to review Morphe as a brand in the next couple of weeks on this blog as well. I know the next purchase I will be making from Beauty Bay will be the Anastasia Beverly Hills Norvina palette because I just love those palettes. Let me know in the comments what you would have ordered from Beauty Bay? Have you tried any of the products that I picked up? And what is next for you in terms of your next makeup purchase? As always, I would love to have a read of your thoughts in the comments and thank you so much for reading!